The most spectacular and fragrant of the Cymbidium species. In its native habitats of Myanmar, Thailand, and China this plant grows up in the trees with its inflorescense arching to cascading down. 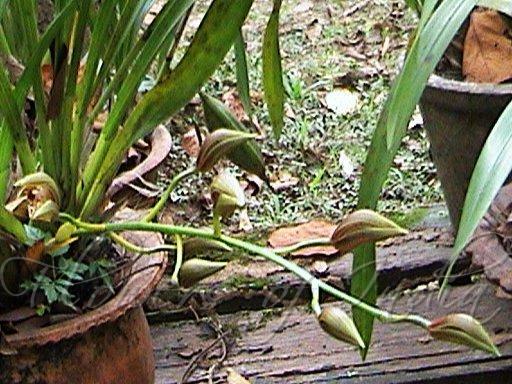 In cultivation, it does fine potted as with other cymbidiums. All tracyanums are not equal. Many are poor bloomers with short flower spikes. 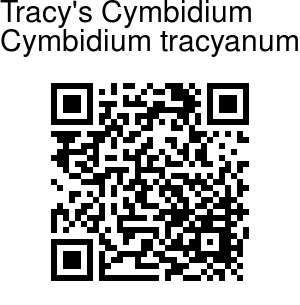 Tracyanum is appreciated for its tiger-stripings and spots, ruffled lip, large size, sweet scent and overall character.